Coming soon ! 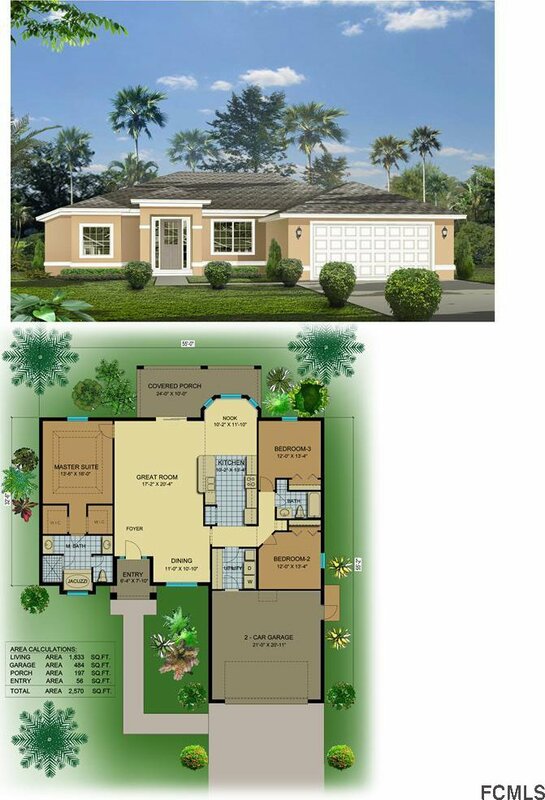 The “Bahia Pearl” project is an affordable, energy efficient with green features, single-family residential home designed and built by ISB Construction .The house consists of 3 bedrooms & 2 baths. Split floor plan, Granite counter tops in Kitchen and Bath,Spray Foam Insulation in Attic,Low-E Double Pane Insulated Glass Window,Fiberglass w/Composite Jambs Exterior and much more ,list of upgrades attached.Located in one of the best residential neighborhoods in Palm Coast , in close proximity to great schools, shopping and entertainment. City of Palm Coast is halfway between St. Augustine and Daytona Beach – and about 70 miles from both the Jacksonville and Orlando. With an average, of 225 sunny days per year, Palm Coast truly lives up to Florida‘s nickname as the Sunshine State. Please drive by and take a look ! For more information please contact Listing Agent .